Did you know that an herb garden can grow anywhere, anytime? Homegrown herbs can be used to cook and liven up your kitchen – and the different flavors pair well with our excellent wine selection! We created the DeLoach #StartAGarden program to excite and educate you to feel confident in cultivating your garden within your home or community all while gaining an appreciation for organic farming practices and food and wine pairings. At DeLoach Vineyards, we are dedicated to a tradition of quality and respect for terroir, showcased through our wines as well as our sustainable practices at every point in a wine’s life, from vineyard to vessel. Our historical winery, grounded in centuries-old sustainable, organic and Biodynamic® farming practices, is complemented by systems for solar power, water recycling and solid waste management. One of the foundational principals of Biodynamic farming is its holistic approach to the farm as an ecological entity. Through balancing and harmonizing all elements within the system, far fewer inputs are needed — if not eliminated. In December 2009, Demeter granted us our biodynamic certification for both our 17-acre estate vineyards and 1-acre garden. 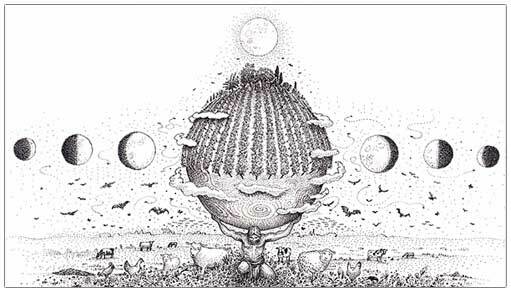 To learn more about our sustainable practices and Biodynamic farming, please click here. When starting a garden, it is important to choose the correct location. The minimum requirements include at least 10 hours of sunlight, availability of water, protection from deer and pests, and accessibility with a wheelbarrow. It is recommended to learn about the average temperatures during the growing season to determine what crops will thrive in your area. A garden needs an inch of water a week. In regions without rain in the growing season, an irrigation system with a timer is essential. Drip irrigation is the most efficient method of providing water for the crop. Each soil type and location varies in how often water needs to be applied. Throughout the season it is important to monitor the soil moisture, learning how much water it takes to reach saturation and how long it takes to dry. During heat waves additional water might be necessary. The most problems with a crop are often associated with a water issue. Whether the garden is in containers, wood boxes, or the Earth, the soil will require preparation prior to planting. Loosen the soil with a digging fork or shovel to improve the movement of water, increase availability of nutrients for the plant, and ease planting. When loosening the soil, respect the soil structure, most of the life and nutrients are in the first few inches of the soil. A digging fork allows you to aerate the soil by gently lifting it, without burying the top layer. A soil test is the most accurate way to determine the quantity of organic fertilizers and compost needed for the crop. 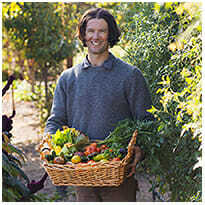 When deciding what to plant, choose vegetables that you enjoy and are appropriate for your location. Growing a crop that you are excited about will help you add interest in the garden, and you will look forward to using your harvest. Some crops need high day time temperatures, others prefer cooler temperatures. A crop that is adapted to your climate will be more successful and productive. There are several ways to approach compost. First, compost improves soil health. Second, compost reduces waste. For the first aspect, adding compost to the soil improves the soil structure. The addition of organic matter increases water retention while increasing air flow. Compost also provides nutrients and helps plant roots absorb nutrients present in the soil. Adding compost builds the soil food web that leads to stronger plants. The second part of composting helps to reduce waste. By collecting all the weeds, food scraps, leaves, and anything else that can decompose into a compost pile, will keep that garden clean. Following the natural system of decomposition composting reduces the need for outside inputs with resources onsite. In an urban area where space is limited, a worm box can work to convert food waste into beneficial microbes. Worm castings mixed with water as a tea builds fertility of the soil, while preventing diseases. Nothing is isolated. Biodiversity is the web that supports life. When planting one crop, find space to sow plants that attract beneficial insects. Sweet alyssum, cosmos, oregano, bachelor buttons, borage, calendula, chamomile, thyme, nasturtiums, and lavender are examples of host plants for predator insects that eat pests and pollinators that are essential for plant health. Crop rotation can be difficult in small gardens, but it is an effective way to break disease and pest cycles. It can also build soil health, and it encourages a year round garden plan. Each crop has a preferred predecessor, and crop rotation plans can be tailored for each garden. An example for a primary crop of tomatoes is to grow a winter legume to add fertility to the soil before the tomatoes, and then sow a brassica (radish, turnip, cauliflower) afterward to prevent the disease or pests from spreading. The first step to pest control is identifying the pest. The majority of garden insects are beneficial. Spraying a broad spectrum pesticide can do more damage to the garden ecosystem, and lead to a destructive pest attack. The UC Davis IPM (integrated pest management) website is the best tool for learning about controlling specific pests. Cover cropping is a method to keep your garden nourished by sowing mixtures of legumes, grains, and other special crops. Also called green manures, these plants suppress weeds, host beneficial insects, improve soil structure, add biomass for the compost pile, break up clay and hardpans, increase water retention, prevent erosion, protect against compaction, and add nutrients. Winter cover crops include mustard, bell beans, peas, vetch, oats, and barley. Summer crops include Japanese buckwheat, clovers, and radish. Weeds are the wrong plant at the wrong time. Weeds are also a resource. Pulling them out by hand feeds the compost pile and loosens the soil. Weeds can also tell you about the temperature of the soil. For example: wait until the warm season weeds (purslane and amaranth) emerge before planting your heat loving crops. Weeds are a sign that the soil is alive and supports life. Killing weeds with an herbicide destroys the soil health, increases the compaction of the soil, and weakens the ability of the next crop. 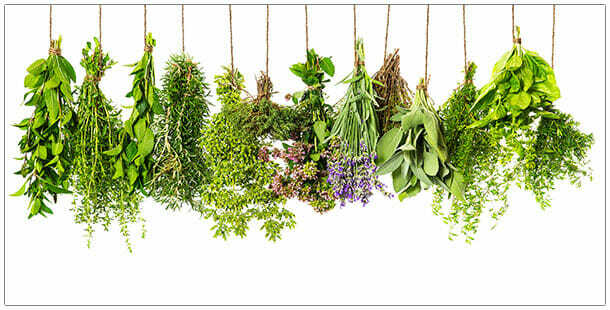 Cooking with herbs can elevate your dishes by adding the necessary savory notes or a touch of bright freshness. 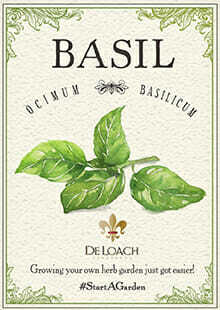 Check out the herb inspired recipes below and remember to pair them with your favorite DeLoach wines! Herb Marinated Mushrooms – Pairs best with DeLoach Pinot Noir! Baked Halibut with Herbs, Capers, Fennel & Tomatoes – Pairs best with DeLoach Chardonnay. Chicken Thighs Braised in Zinfandel with Kalamata Olives & Shallots – Pairs best with DeLoach Zinfnadel! Fresh Eggplant Parmesan – Pairs best with DeLoach Zinfandel!